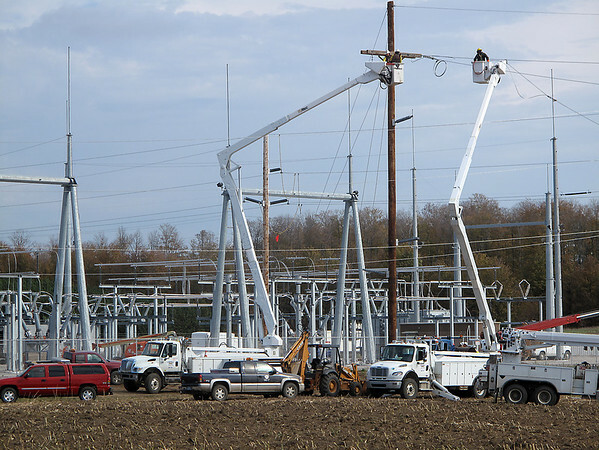 Construction is continuing on Wolverine Power Cooperative's new $6 million electric transmission substation in Elmwood Township off M-72 west of Traverse City. Portions of the substation's 69,000 volt transmission system should begin operating by the end of October, while the 138 kV system should be operating by next summer, according to Tony Anderson of Cherryland Electric Cooperative. The project cost is being split by Wolverine and Traverse City Light and Power.